Our take on the quintessential Singaporean dessert! 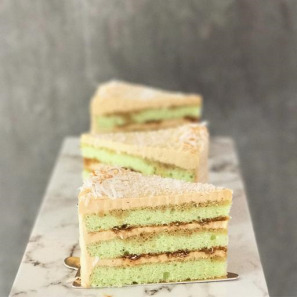 Ondeh-ondeh consists of light and fluffy layers of pandan sponge filled with gula melaka infused coconut, covered with our signature gula melaka frosting. Sedap!